Are you one of the millions of multilevel marketers who struggle with sales? Would you like to have access to an application that provides sales coaching, from virtually anywhere? CloseTheSale may very well be the tool you have been seeking. Many times when we get nervous while selling it is because we feel like we don’t know how to ask for the sale. This app gives you the exact words you can say in several different ways to help you ask for the order and create the “close”. I selected this app over other sales training apps because it includes word for word scripts, video examples, objection examples, sales theories, and a sales tracker. Yes, this app lets you can track how many sales presentations, calls, and closes you create in a day. At the end of the day, you can email yourself your tracked results. 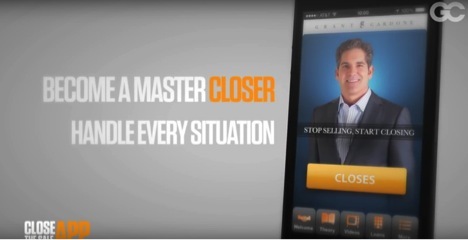 Sales training expert Grant Cardone developed the CloseTheSale App to help sales professionals, across virtually any industry. He shares his experience and expertise through a wide variety of content including a video library and a host of articles. Each article and each video is intended to solve a specific sales issue; from typical barriers to entry to common sales mistakes. Grant Cardone is active on Facebook and Twitter, and it is easy to interact with him online. He has written several books and training courses on sales techniques. 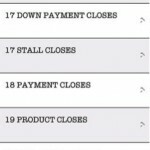 A few of the scripts should be adjusted for direct selling such as ones talking about ‘large purchases’. It is easy to see how a few slight word adjustments combined with friendly body language could create a dynamic sales presentation for those who feel inexperienced in selling. My favorite closing statement is the “Scale from 1 to 10” close. This is where you have the potential customer rate the product after you have educated them on the features and benefits. It gives you insight into any objections the customer may have. I think that asking your potential customer if they have any additional reservations is a great way to transition to the close. There are dozens of closing scripts and variations. Before you go out into the world to try out a few of these closes at the coffee shop, you can use the app to record yourself speaking the closing statements. This allows you time to refine your delivery and even record with a friend to play back and review later. If you need to jot down a few bullet points about your product or the close before approaching a customer, there is a notes section for that as well to review before going into a sales call. Since the CloseTheSale App was launched in 2013, it has received upwards of 120 reviews in the iTunes Store for an average rating of five stars and upwards of 140 reviews for an average rating of 4.8 stars in the Google Play Stores. If you are seeking a simple, straightforward sales coaching tool, CloseTheSale App is a great option. 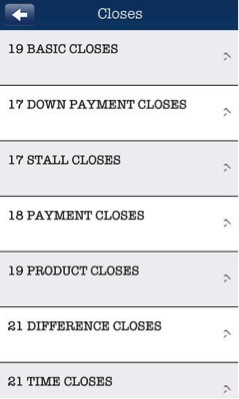 The vast majority of reviewers rave about the usability and strong content provided by the CloseTheSale App. The negative reviews do however include a few accounts of technological issues. I recommend the CloseTheSale App if your confidence in selling could use a boost. Selling products with confidence will help you build a business and build a team of direct selling professionals that will provide you a residual income. Check out the app in the App stores or purchase one of the selling courses from Grant Cardone and improve your sales closing rate today. If you are interested in learning more about the CloseTheSale App, visit the iTunes Store or the Google Play Store.